David Allen, a 30-year-old angler fishing for lingcod at the Des Moines Marina Pier, caught what looked like a big fish just as I arrived. What good timing! I quickly whipped out my iPad to start sketching. But Allen didn’t seemed pleased with his catch. Turns out this species of bottom fish is endangered and illegal to catch from Puget Sound, explained Allen, who quickly released the lucky fish back into the cold water while his dog Merin watched in disbelief. 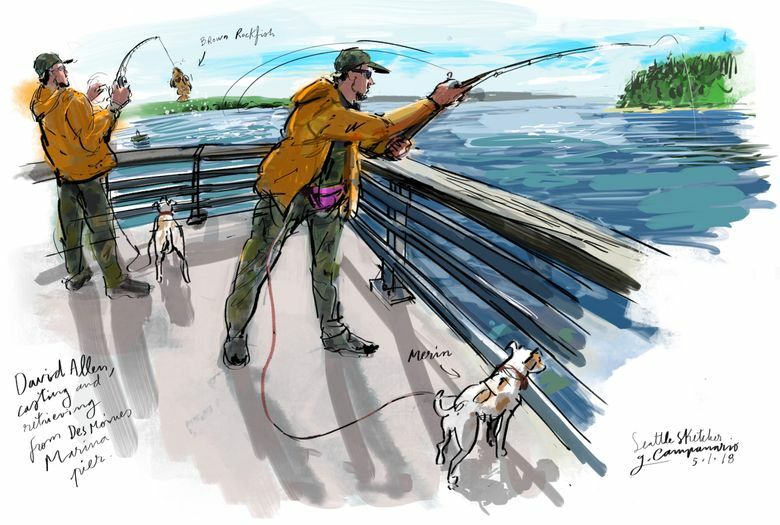 Allen was the only fisherman I saw at the pier, but he said many will show up as soon as word gets out that lingcod season just opened and people are more successful than he was on this sunny afternoon. 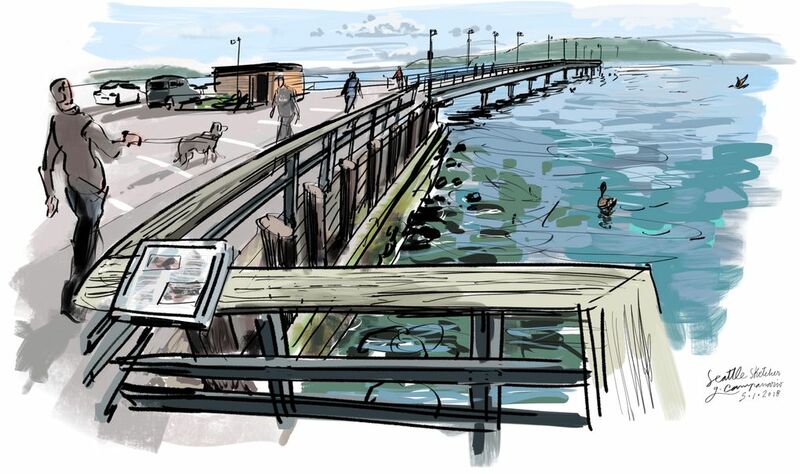 The Des Moines Marina Pier, one of more than 60 public fishing piers on Puget Sound, stretches 600 feet into the water, providing not only a great place to fish but also to take in breathtaking panoramic views. It’s the longest pier I’ve encountered so far in the region, and certainly one of the most scenic.